Create a lasting impression when you have customer appreciation, holidays, birthdays, change of address and more. 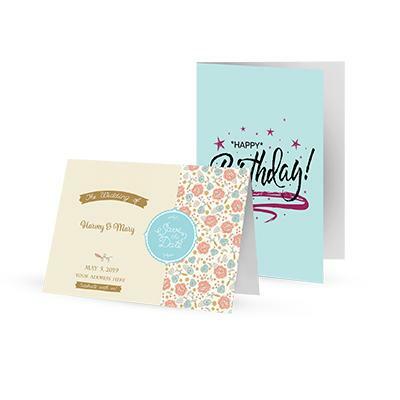 A customized greeting card gives you many options to be unique and enhance your company brand name. We offer templates for you to create your own design perfectly and ready to be printed. Our professional graphic designers are also available to create cards that will make people will take notice and attract attention. Order online now, our cost-effective cheap prices can be matched against other printers to see the real savings! Give us a call today if you have any questions.